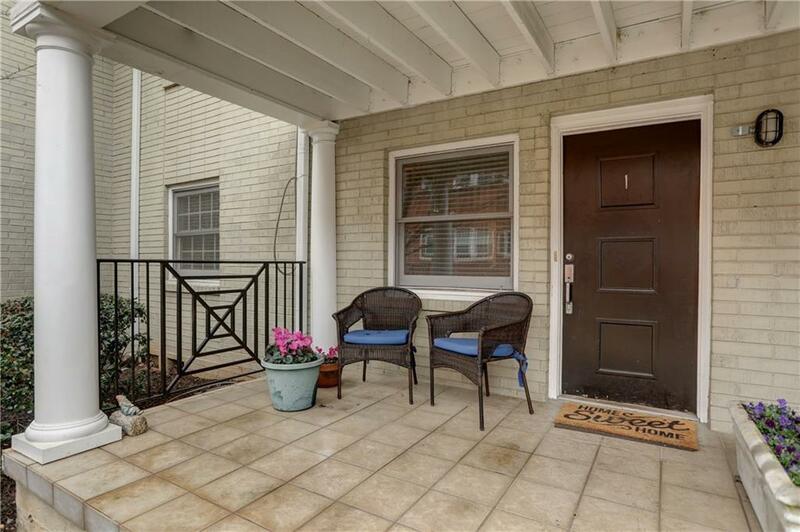 Adorable 2BR/1BA condo in Virgnia Hall, nestled on a tree lined street in the heart of Virginia Highland. Move right in! Fresh paint. Hardwood floors throughout. This open plan feaures Living Room/Dining Room plus a built in office area. Cute kitchen w/maple cabinets with glass door accents. 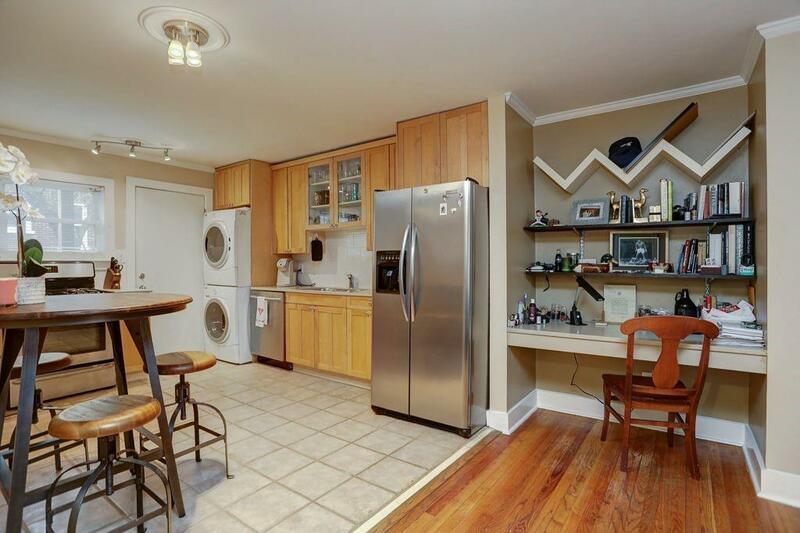 Stainless appliances including refrigerator & gas range. 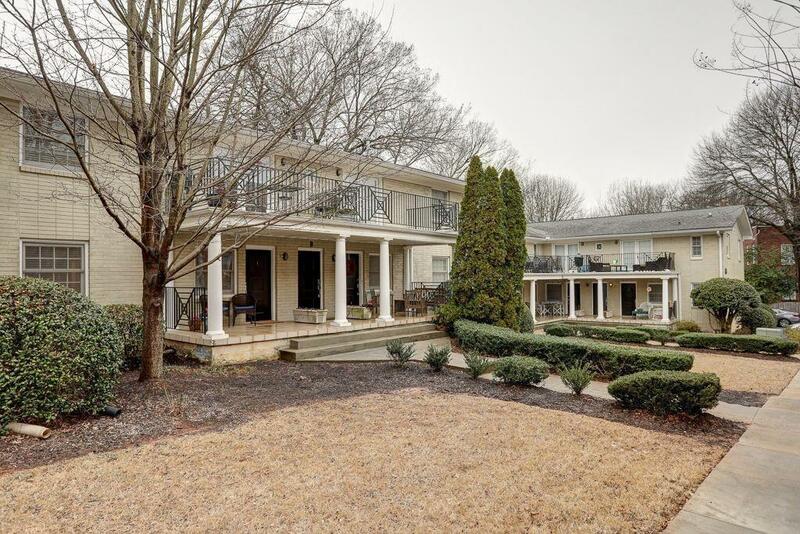 Inviting covered porch overlooks yard reminiscent of this historic n'nood. Walk to Virginia Highland shops & restaurants. Bike to Ponce City Market & Beltline. Just minutes to Emory. Assigned parking space in best location.